Key drivers of electronics failure are stress, temperature, and moisture, which can cause shorting, attenuation problems, screen or lens fogging, intermittent functionality and catastrophic breakdown. Ensure electronic components and assemblies perform reliably in challenging conditions with innovative rubber solutions from Minor Rubber. 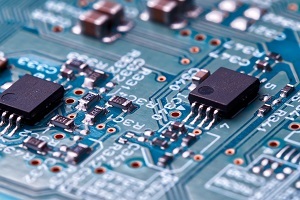 The electronics industry requires rubber parts that can protect from shock, resist chemical intrusion, combat electromagnetic interference, and seal openings from dust, contaminants, and moisture. They must also be durable, resilient and easy to install. While off-the-shelf rubber products are suitable for some markets, the electronics industry often requires tight-tolerance seals to protect sensitive gages and instruments. Minor Rubber will work with you to develop a custom rubber solution for your electrical product. Founded in 1914, Minor Rubber understands the electronics industry is constantly evolving. We stay on top of our industry by being experts in yours. We are dedicated to offering personalized service to our clients, which makes the design, production and receipt of rubber parts simple. Contact Minor Rubber to learn more about our electronics industry rubber solutions.